you are a cow on ice and have night blindness? This summer I’m going to Ironman Switzerland – a competition, at the start of which you come already “iron”. But, you will get the title not by mail, by the lottery and not as a gift for the New Year. It must be earned, rather, won. Therefore, in order to be ready to swim 3.8 km, to drive 180 km by bicycle and then to run 42 km, athletes pass “smaller” competitions. I have experienced semi-marathon in Barcelona, marathon in Paris, Amsterdam and half of Ironman in Austria and the Bosphorus. 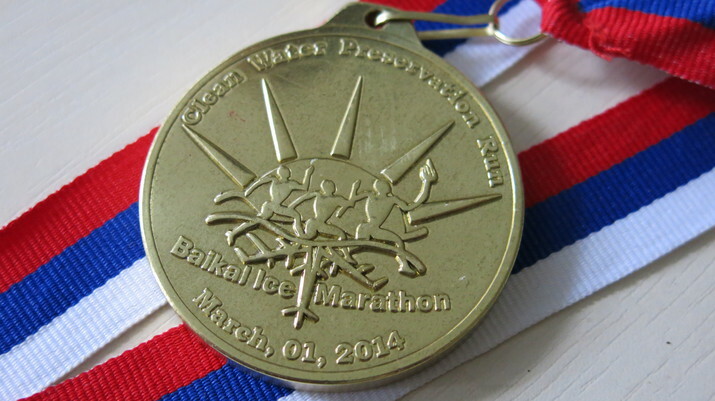 The next top planned was the Ice Marathon on Baikal. I learned about this race six years ago. I remember when it juiced me a lot, but then I started to run, and such an adventure seemed possible only in the distant future. But as time passed, the legs and the mind matured, now I check in for this madness! 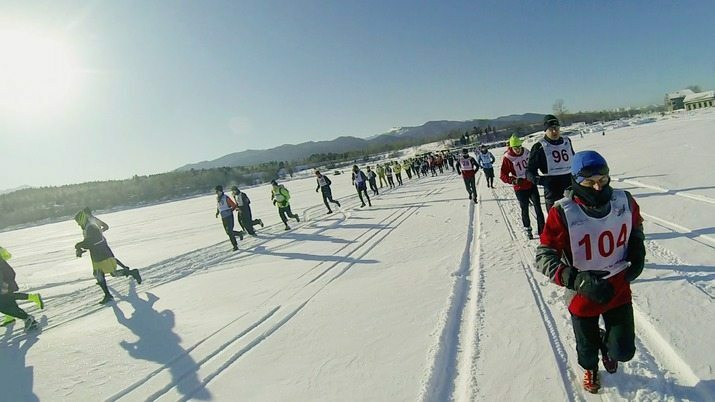 Baikal Marathon is one of 10 the most difficult marathons in the world. 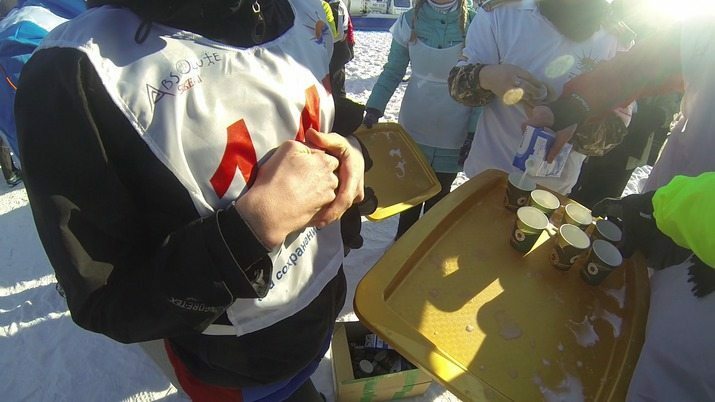 At the finish, I clearly understood why. 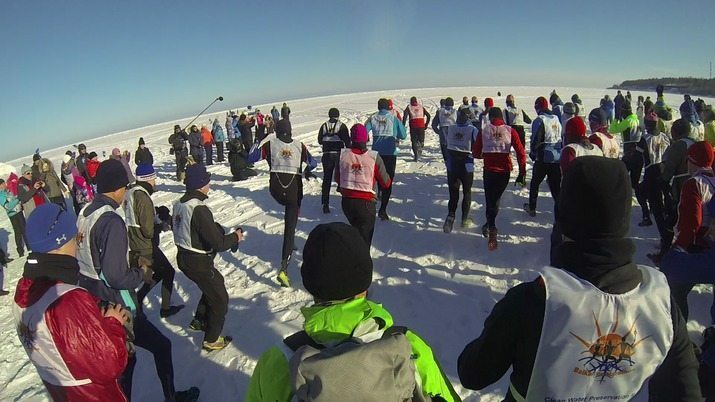 Secondly, it is the flattest marathon in the world – climbing just several meters to 42 km. 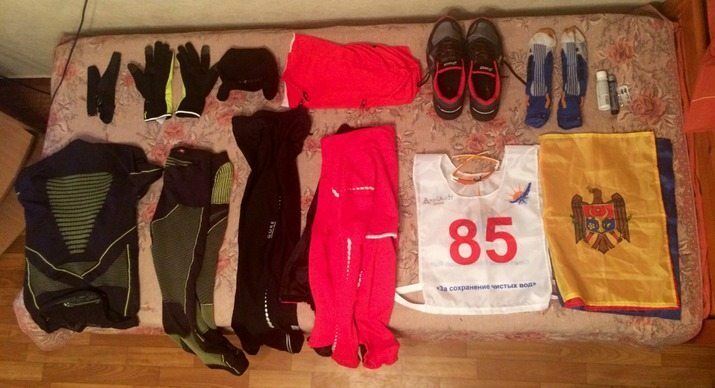 Thirdly, it is the greasiest marathon – to run without special shoes is a suicide. Moreover, participation in it is limited to a couple of hundred people (today) due to the complicated logistics. Therefore, to get on it, you must have a marathon experience, health and patience :) And sometimes it is not enough. With the arrival of winter, I began to actively prepare for the Baikal. 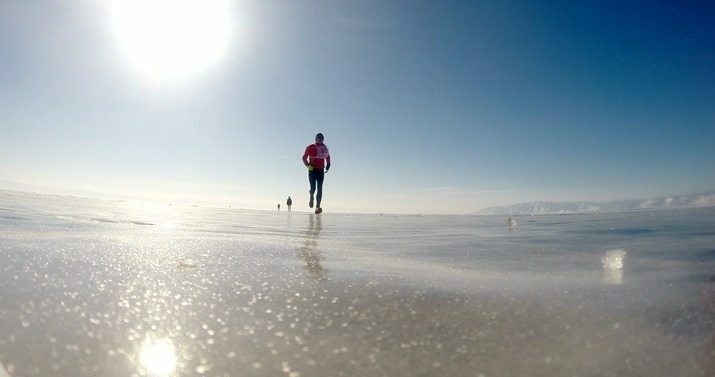 Pace, interval trainings and coasts. 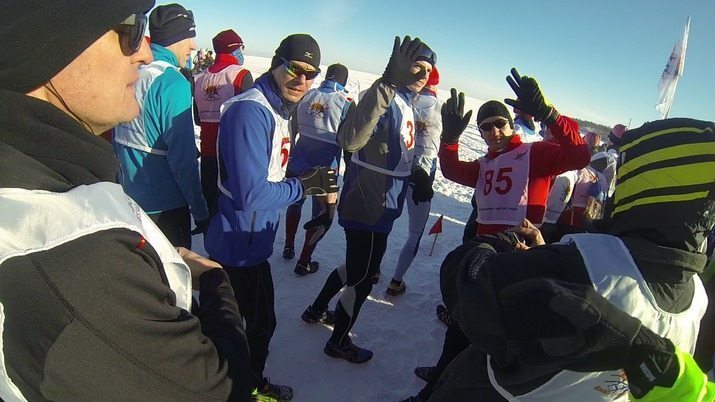 As the snow fell – running ankle-deep in snow, coasts and cold trainings in light clothing to get used to the cold. Then frosts came. 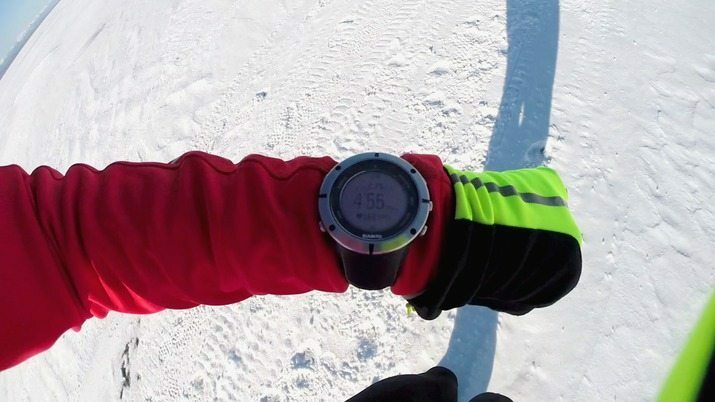 Perhaps, in our country I was happy of that most of all, because you can run on the ice! 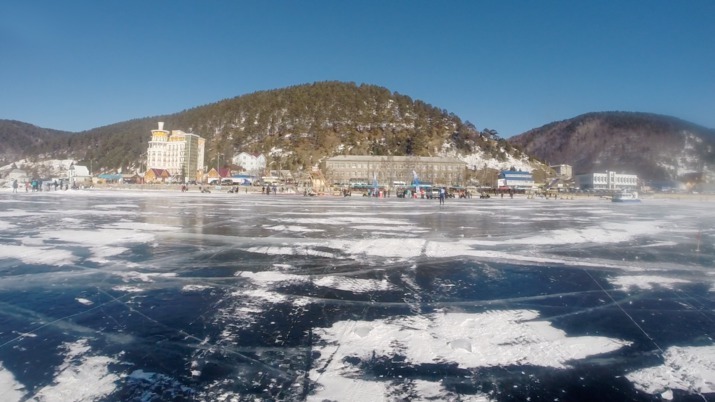 As a result, several ice trainings turned into a farce – Kamsik was not practically frozen, and on Ghidighici the people ran ankle-deep in water. Equally important are shoes, so I decided on the special shoes for running on ice – the choice was between Asics Setsu or Icebug spirit 3 olx. The latter have a large number of metal spikes, they grip better, and they are easier, but Asics are softer and more comfortable. So, I was afraid of wearing tight shoes for a long distance. By the way, as it turned out later, I made the right choice. I decided to fly to Irkutsk 3 days early to acclimate a little bit. Still 7 hours of difference. 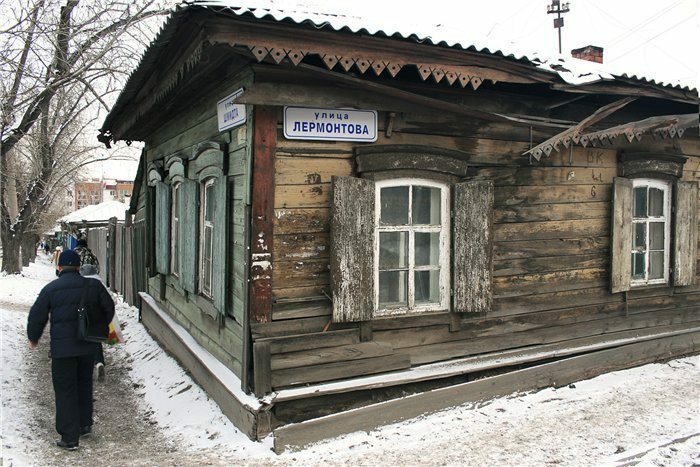 Okay, so, Irkutsk – the capital of Siberia. 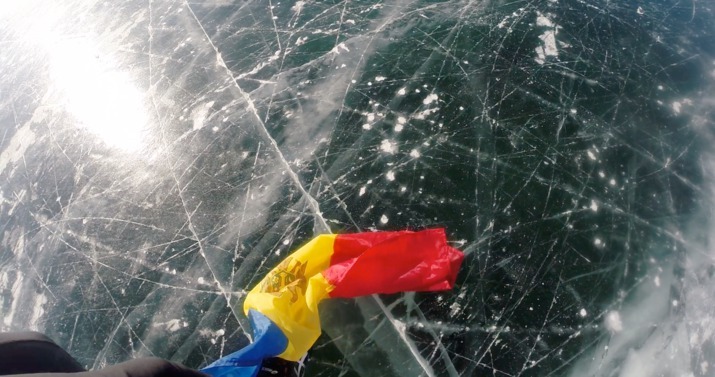 What hooked me – its harsh, non-freezing Angara River at the temperature of 20 degrees below zero. In the morning, it smokes so much that the river is not seen – just a cloud of steam hanging in the middle of the city. Horror. The architecture is interesting. Lenin Avenue somehow reminded Saint Petersburg. 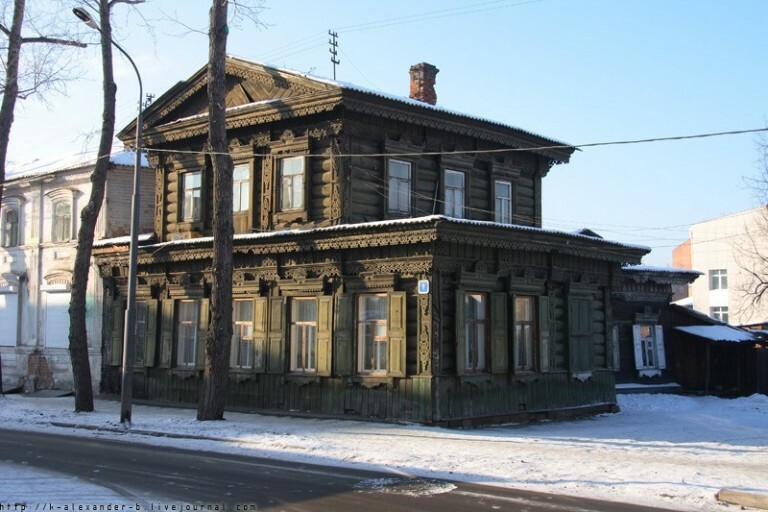 The old town has a bunch of archaic wooden houses. I saw Babra miracle beast. The people are not spoiled, but ordinary and responsive. In short, harsh Siberian city. Sights of Irkutsk region – Arctic cisco (it is said that it lives only in Baikal), pine nuts and sulfur (pine resin used to make chewing gum). So, anyone interested in the details about the city and the region – Welcome to Wikipedia. In the end, you did not come to see the city. 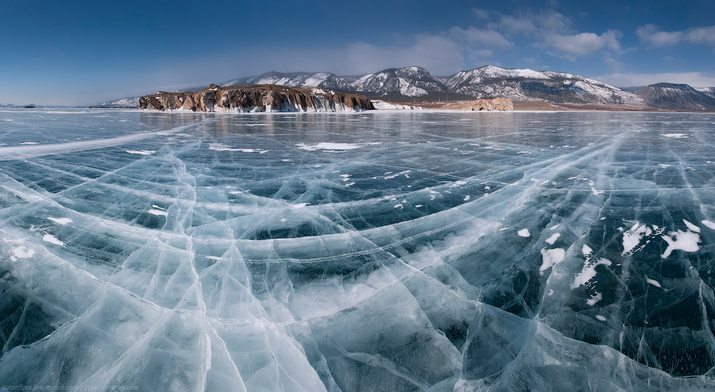 Baikal is the deepest lake on the planet and the largest natural reservoir of fresh water. To imagine it, build a wall along the borders of Moldova of 744 meters of height and fill it to the brim with water – we obtain an analogue of the lake. The water in the lake is cold. The temperature of the surface layers even in the summer does not exceed +8 … + 9 °C, the water in the lake is so clear that the separate stones and various objects are visible at a depth of 40 m. According to Wikipedia, by the end of winter the thickness of ice on Baikal Lake reaches 1 m.
There is a legend that the father of Baikal had 336 river-sons and a single daughter – the Angara. She fell in love and decided to flee to the Yenisei. Baikal, learning about it, tried to block her way, throwing to the source the Shaman-rock, but Angara ran on. Then Baikal sent his nephew Irkut to chase her, but he sorrowed for the Angara and turned off the road. Angara and Yenisei met and flowed on with him. The race route changes every year, depending on the ice situation in the lake. This year, we were running from the east coast to the west. 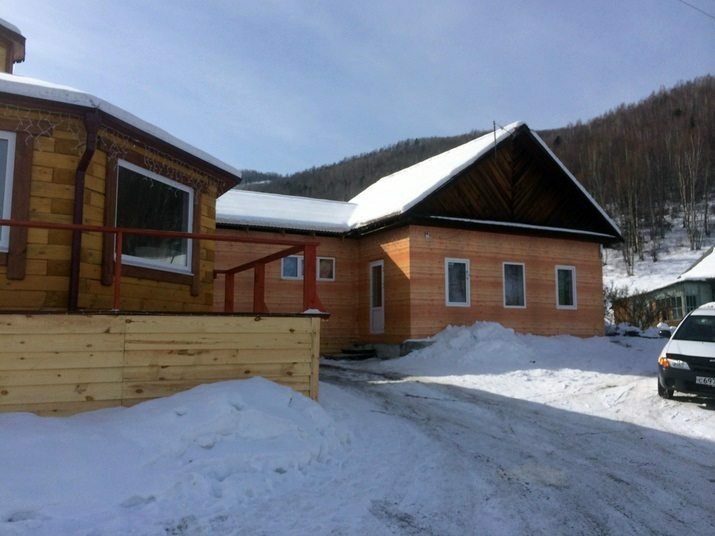 We were gathered at the airport (this year came 150 persons), loaded into buses and taken to the opposite coast of Baikal Lake, in the Baikalsk town. On the way we stopped in Sludyanka for a snack. For those who have forgotten, the east coast of Baikal Lake is Buryatia. And as you know, the national dish of Buryatia is poses. What is it? 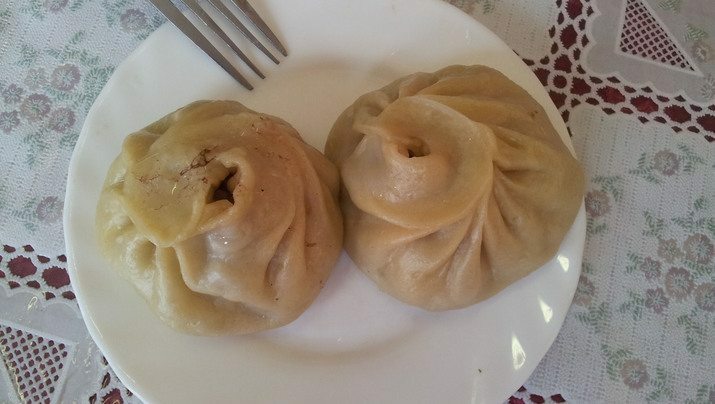 I’ll give a hint: poses, chuchvara, momo, dyushbara, ravioli, khinkali, manta … But in Russian – dumplings. Big, with minced meat and steamed dumplings. We posed there and drove on. I was placed at the hotel and met gay guys from Moscow. We ran to remember the body for what it was so much prepared. 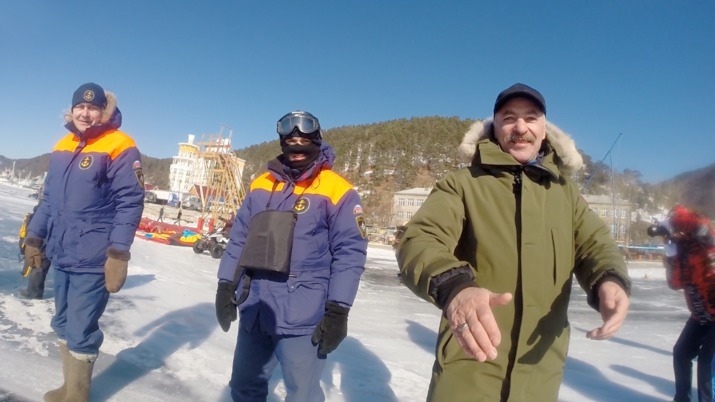 At the briefing, we learned that Baikal Lake is a living creature. So, we must be particularly careful and attentive, running on its “back”. We shall not leave any litter along the route, but bring all with us, and the single toilet will be in the middle of the lake. 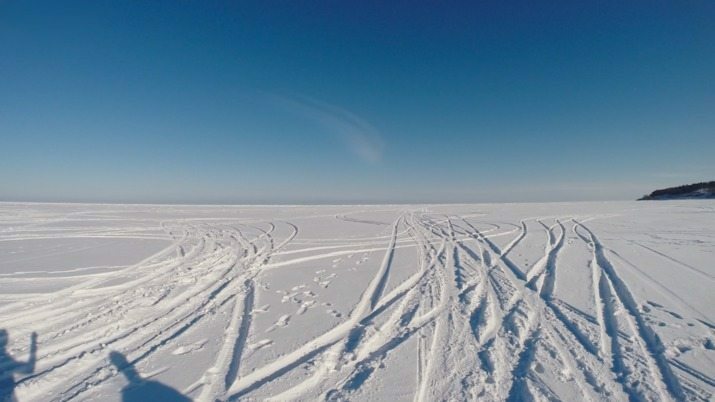 The ice situation is favorable – at the first 19 kilometers we will find a snowy, trodden and comfortable land, followed by the ice. There is no wind, maybe in the end; the temperature is above the normal at the beginning of March. 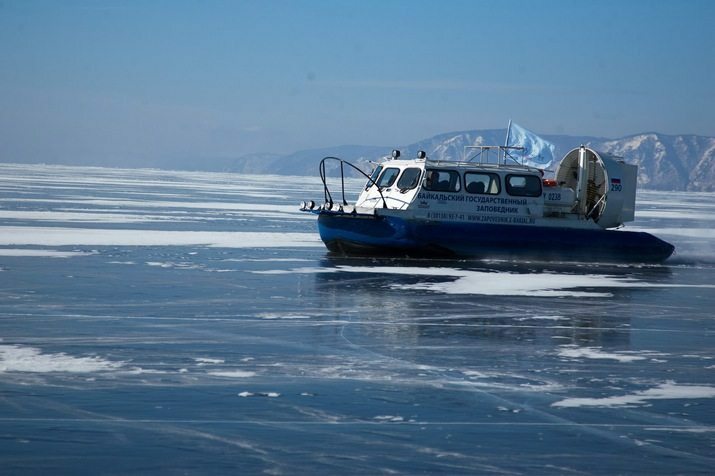 In short, the Baikal provided all the conditions for the race. Thank you! In short, I put all things, gathered backpack, bathed and went to bed at 11 o’clock. In the morning, as a rule, toilet, clothes, loperamide (for those who understand) and breakfast. The carnival in the courtyard, so we gulped pancakes with condensed milk – breakfast of champions! 8:00 a.m. Temperature: -26. We were loaded into the minivan and drove to the start. Half an hour later we were on the coast of the Baikal Lake. The weather is beautiful, it is cold, fair, and there is no wind, fresh air, the mind-blowing mood! 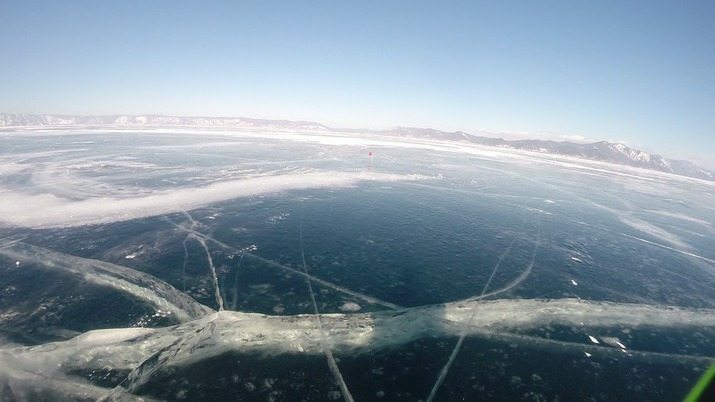 Before the start of the ancient tradition we called and cajoled Burkhan – the spirit of Baikal Lake, asked permission to disturb the peace of the great lake. Here’s what to do: in a glass of milk you shall lower the ring finger, splash on the four sides, drink, and give the rest to Burkhan. 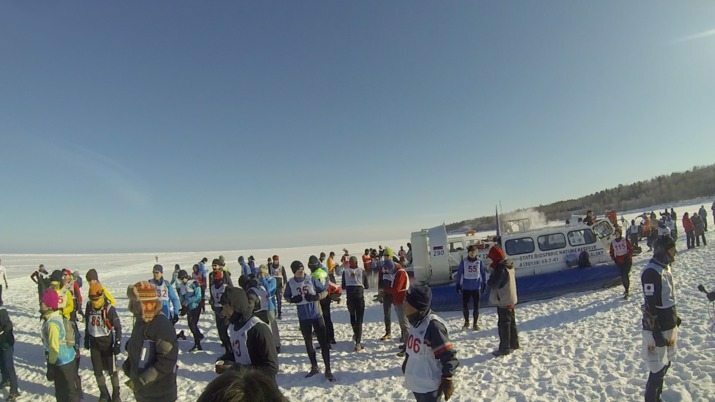 So, start and 150 screamy people rushed onto the ice of Baikal Lake. We are running. I look at the pace – 4:40. Damn, fast, although I run perfectly. But experience tells me: brake now, or even stop then. I hold the rate exactly 4:55-5:00. It is easy to run, the mood is excellent. There is no ice, only trodden snow. Excellent coupling. It is not cold or hot. I have rattles raisins mixed with nuts and dried apricots in the bag. 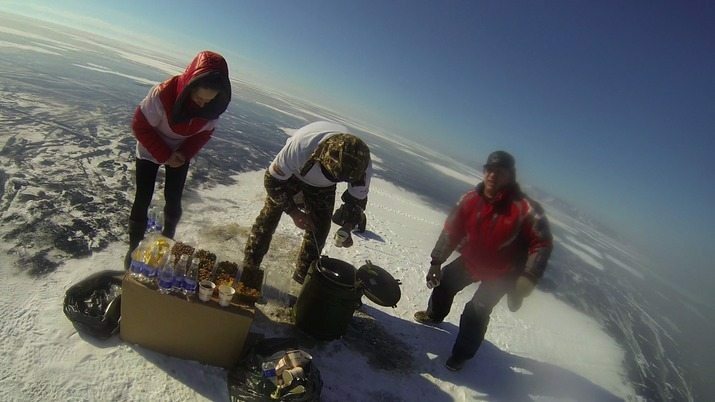 Above there is a secret weapon – shot of guarana. Energy badyaga. It invigorates quite good when you are exhausted. Generally, life is beautiful! All the tragedies begin with a cloudless morning, isn’t it? The rate fell slightly, but it is not essential. I began to overtake eager runners. I enjoy it :) Ideally, if I spread out correctly on the pace and keep it during the entire distance, no one will overtake me, and I will eat a couple of dozen more. I smile to myself. I am so sly! Along our jogging trails occasionally fly Khivus – amphibious hovercraft boats. I advanced and again half an hour of silence; only the crunch of the snow underfoot and bright light, filling the entire space. It is unlikely anything. After 22 kilometers route covering has changed. We were running on the bare ice. 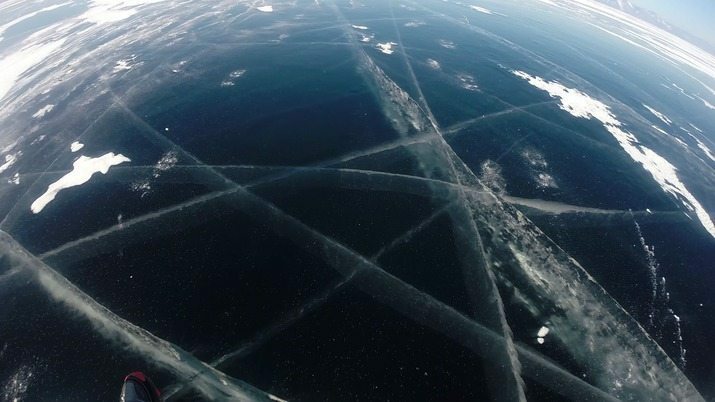 This is a stunner – black ice, which crosses inside white cracks. The grandeur of ice cap is breathtaking! 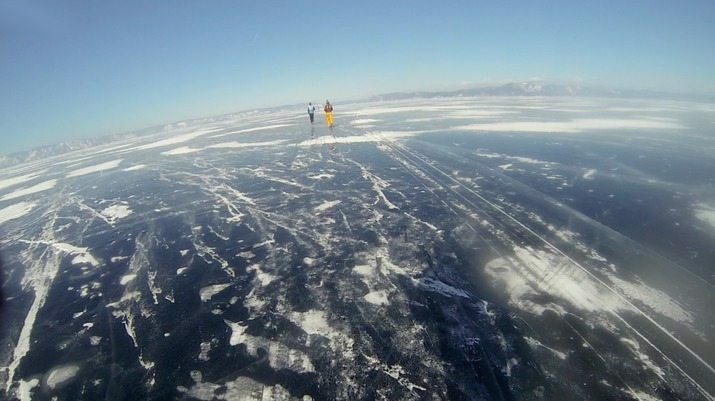 On Baikal the ice is so hard that you feel as if you run on the tile. Spikes are barely clinging to the ice. I am not sure that the problem is in running shoes; perhaps, there are no perfect shoes for such coverage. Having run a couple of kilometers, I learned of the existence of the muscles in my body, about which I previously had no idea. Like “cow on ice”. 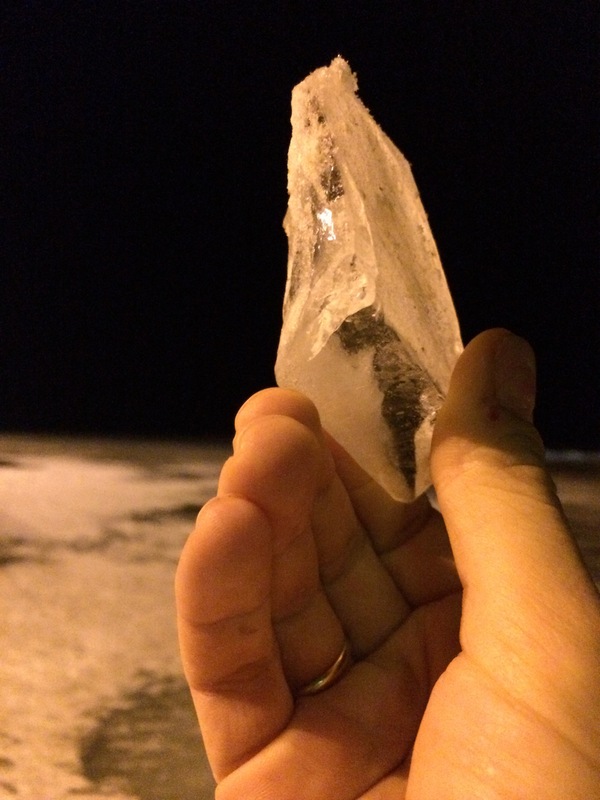 Here my pleasant thoughts are violated by crackle… I turn around and see a crack of several meters appearing in the ice. Above, the pieces of ice break off and bounce up. Now I understand the expression “Baikal is breathing”. 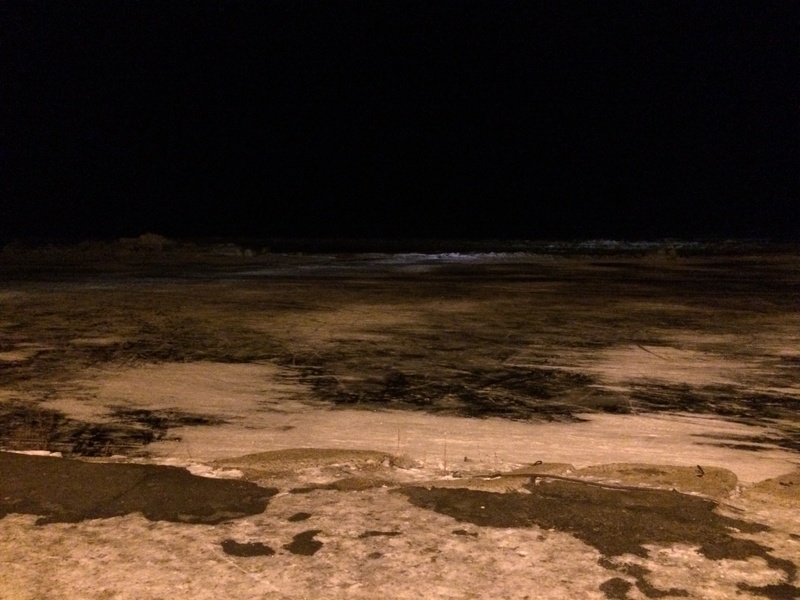 It is said that there are such ice abruptions, that ice floes with the size of a three-storey house squeeze on the coast. What did Baikal want to tell me by this crack? But it was uncomfortable to ask again. I advanced five runners more, but I was advanced by Japanese. I do not eat or drink in feeding stations, I am saving the time. 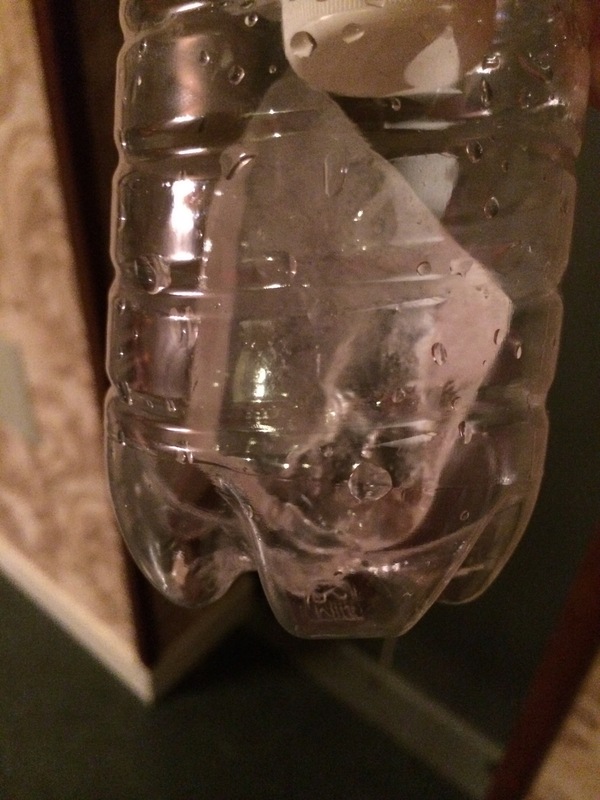 The forces are melting, I would eat gel now… or two, but we have an ecological marathon, so I continue to chump my “carbohydrate cocktail”. However, it does not have a sense. The rate fell to 5:30, and I began to realize that this is just the beginning. One hope for guarana… I will drink it on thirty… and fly! Charming … Legs begin tottering. The rate fell below 6 minutes per kilometer. But I saw that I was not alone in this situation, there were walkers (comrades who were no longer able to run and sadly plodded to the finish line). I advanced a couple more. Kilometers are getting longer. I have no more forces. I am actually delirious, like in a daze. Field of vision begins to narrow; the body turns off unnecessary system to give all the best to children, uh, to muscles. Hello, hypoglycemia! The engine switches from petrol (carbohydrates) to gas (fats). To go through this transition is not the most pleasant thing in the marathon. You start to shake, the speed drops, vision deteriorates, but you shall not stop. The hard ice invokes the pain in knees and hips. Each step pierces through. Behind the scenes I begin to talk with Baikal. I ask it to help me, to give me strength. SUCH a disappointment I have not experienced 30 years, since I learned that Santa Claus does not exist, and my mother buys gifts mom at exchange. 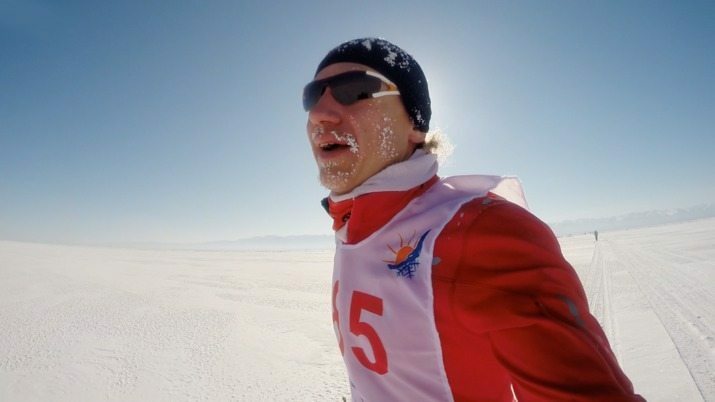 In addition to all misfortunes, hard, biting wind began to blow at the last 4 kilometers. Now I do not feel my feet, nor face. I think that Baikal had tried our strength in this way. I had a kilometer more, and I pull out cushion our tricolor. This proved to be a challenge; I could not squeeze hard enough fingers to keep it, it slips. So and so, I grabbed it, and holding up over the head, I “run” to the shore. Finish! I’m trying ridiculously to accelerate and finish on the stage. My time is 3:44 and the 23th place! 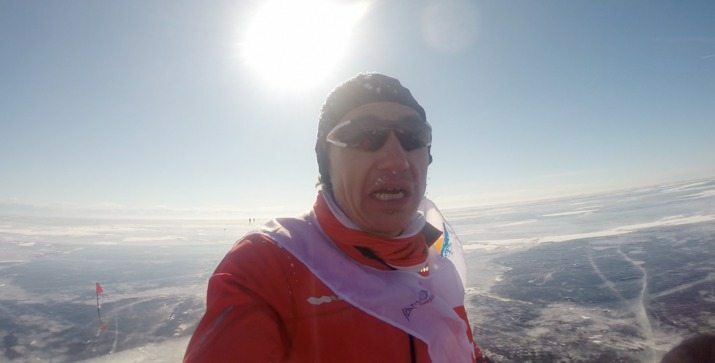 Alexei Nikiforov, the organizer of the marathon vigorously shakes my hand and congratulates me, and my face was so frozen that I could speak clearly, I bleated like a cow on the ice. A couple of pictures more, and I lagged to the hotel on stilts, called yesterday the feet. 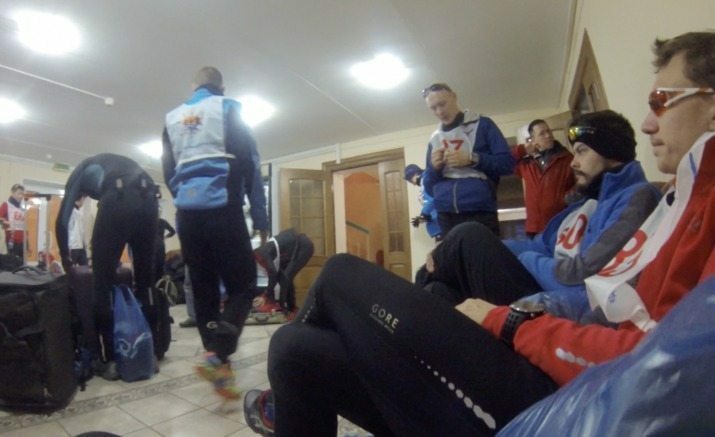 Afterwards there was the bathhouse and the exchange of experiences with runners. Oh, it was a great three hours in sweating room with brooms and beer! In the evening, there was a gala dinner with all the consequences ensuing from bottles. The official part ended with the announcement of the organizers, that tonight Baikal sighed so deeply that on our route appeared a crack of 6 meters of width! 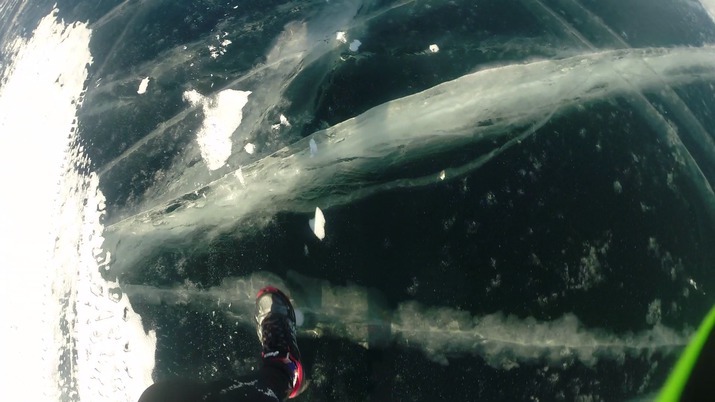 It was as if it was waiting for the end of the race, to begin to free from ice captivity. 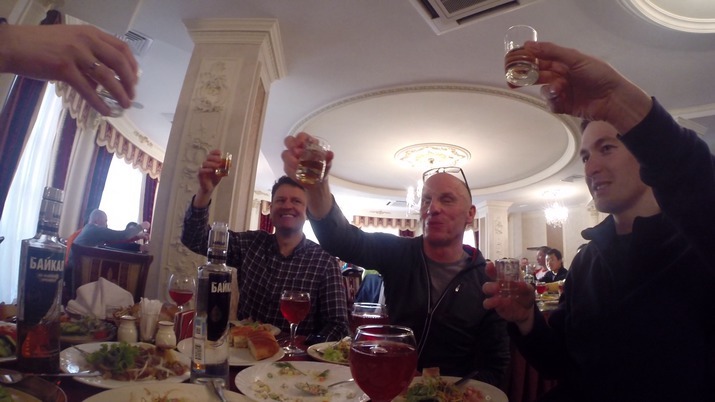 All breathed together and raised the glass for Burkhan, who allowed us to get acquainted with the great Baikal! Generally, this marathon is not like all my previous competitions. Firstly, not everything in this race depends on you. Much depends on the Baikal. 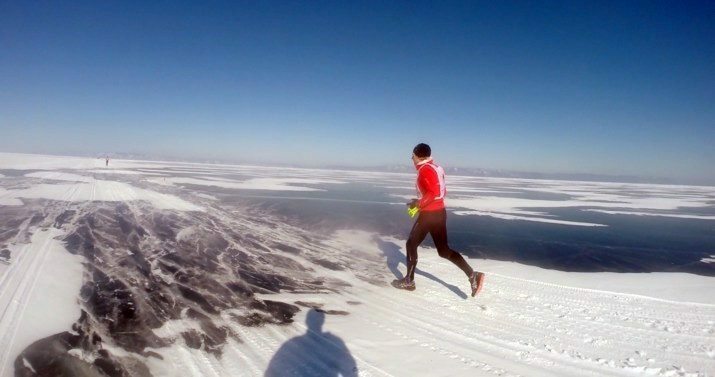 After all, locals do not merely adore this Great Lake … Secondly, when you’re running alone on the icy wilderness, suffering and speaking to it, you change. And you understand how small and insignificant you are and how harmoniously the world is constructed, and you are a part of the world. And the greatness of man is to admit his insignificance in comparison with nature, to recognize its superiority and worship to her. Baikal taught me it. Was faster that 82% participants.